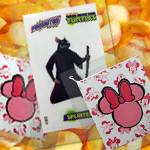 We are often asked to print a promotional item and receive all information regarding size, special effects, etc. However, as soon as we ask about the wrapping many clients freeze: it is an element they didn't even consider. If the promotional gift is the heart, the wrapping is the body that protects and keeps the item in perfect conditions for its final use. Moreover, the sachet can add extra value by itself. What are the types of wrapping? 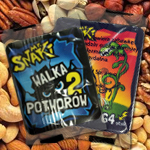 Three types of wrappings are mainly used for promotional items: 4-sides sealed paper sachet, 4-sides sealed transparent sachet and flow wrap. At Grifoll we produce all 3 types with food-contact and grease-ressistant materials. The 4-sides sealed paper sachet is the value solution. It is translucent and hides the item inside. This paper wrapping can be printed as long as it is not inserted with food and has a max. width of 160mm.. The 4-sides sealed transparent sachet is visually more attractive than the paper envelope for it offers a clear vision of the item inside. The transparent wrapping can be printed even when food-contact aptness is required. The max. widht is also 160mm. The flow wrap is the glamourous solution. It is a beautiful wrapping in itself, for it can be printed in paper, transparent or metallic materials. Max. width is 140x280mm. Whenever we need to insert a promotional gift into a product we ought to ask ourselves: will this item be in contact with food? In our case, Grifoll produces all sachets with the food contact option and grease ressistant materials that prevent oil or grease from filtering into the item. We are AIB certified, guarateeing a production process regulated under the Good Manufacturing Practices for materials destined to be in contact with food. It is relevant to say that Grifoll manufactures both the item and the sachet, which allows an integrated wrapping process and maintains the chain of food and cosmetic safety.. This solutions are commonly used by publishing houses and agencies. The item becomes a consumer good rather than a promotional gift. We are talking about collectibles and trading cards, generally combined with licensed characters that demand a top printing quality. 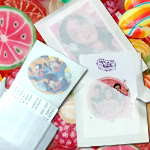 For collectibles and trading cards we are often asked to print flow wrap envelopes. Flow wrapping can be made in transparent, paper and metallic. Thanks to our experience we are able to print flow wraps that do not deteriorate by attrition and maintain a high visual quality for longer times. So, briefly, what do I need to know to order a good wrapping solution? A good wrapping must protect adecuately the inner promotional item without modifying in any way the outer products. It also has to be properly adapted to its function, wheter it goes in-pack or on-pack. And it should be visually attractive: the wrapping is the first element to impact the consumer! What is a Special Finishing?